GUIDE PRICE '375,000-'400,000 - A unique three/four bedroom detached family home built by Woolnough & Cogman in 1984, standing in a commanding plot position nestled away from the village, yet still being close to the many facilities and amenities of Poringland. The property boasts uPVC double glazed windows and doors, gas central heating via a re-fitted boiler (2018). 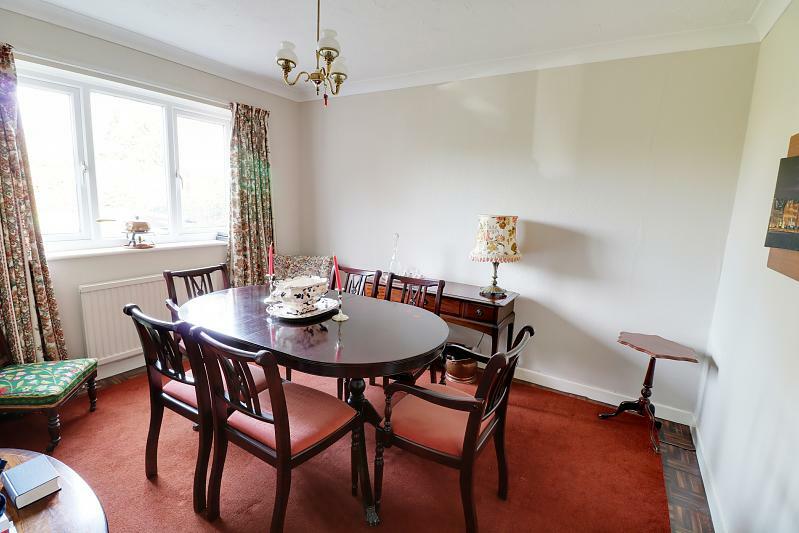 An attractive layout incorporating a well-proportioned sitting room, separate dining room, kitchen/breakfast room with a large utility room. 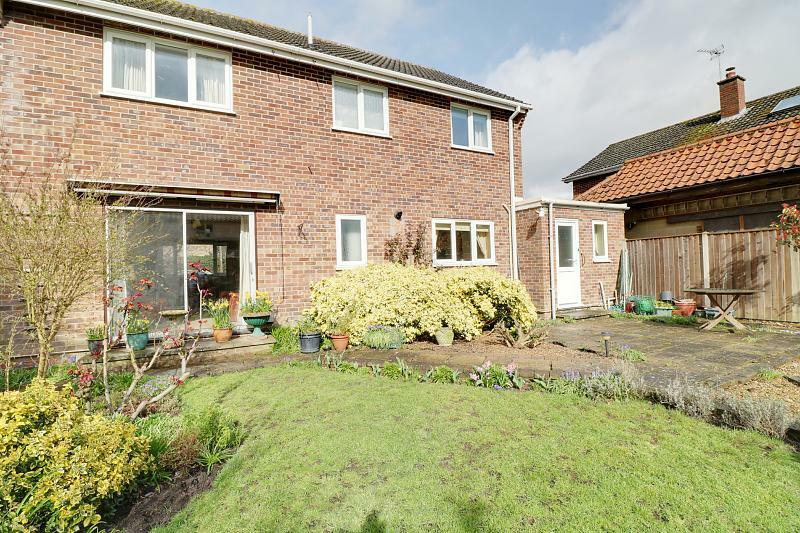 The property also benefits from having well-proportioned gardens to both front and rear with driveway parking and space for caravan and boat etc. 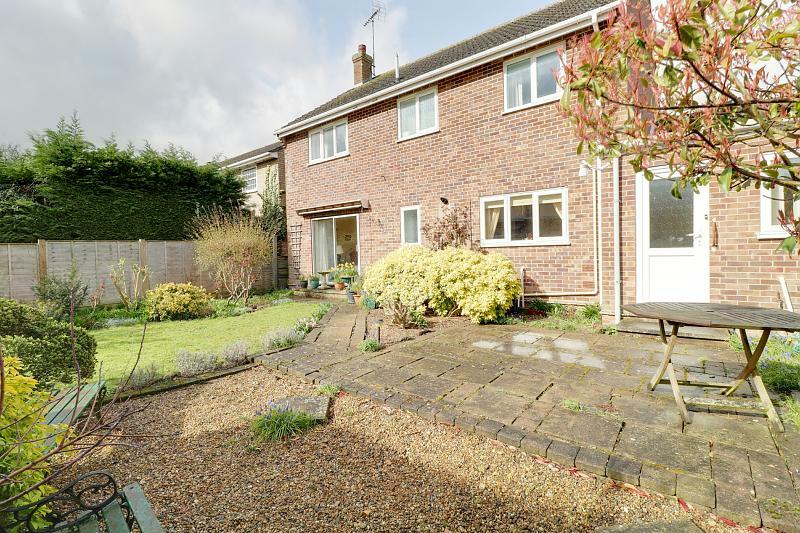 The rear garden has been professionally maintained with various areas for outside dining and entertaining. 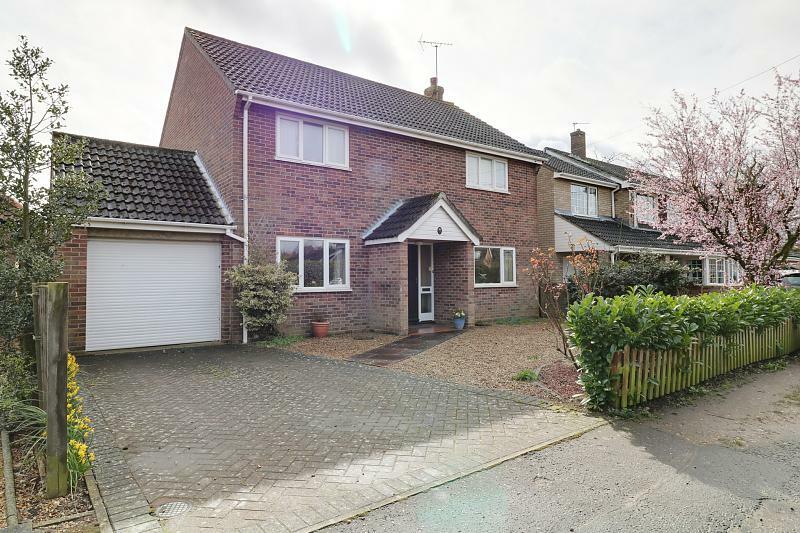 Internal viewing would be highly recommended to full appreciate the size, quality and layout of this family home, which is also added with the benefit of having NO ONWARD CHAIN. Staircase to first floor landing, coving, doors through to downstairs rooms, door through to downstairs cloakroom. 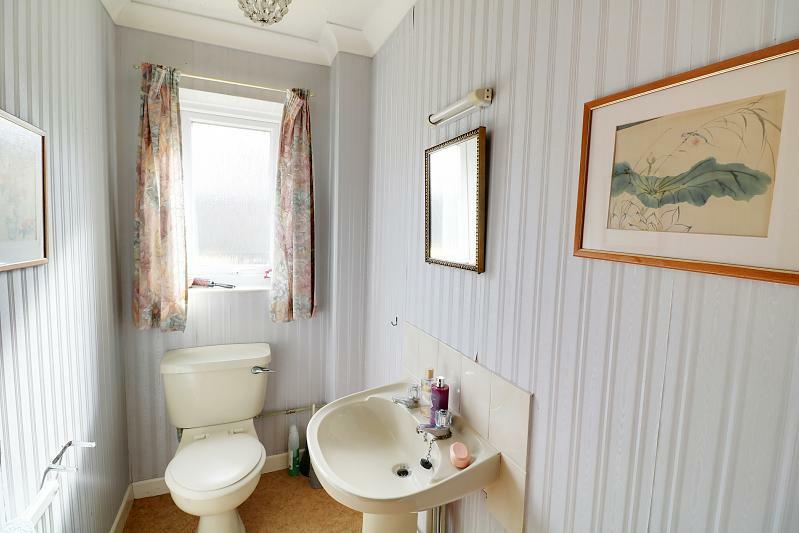 Two piece fitted coloured suite comprising of close coupled W.C and pedestal wash hand basin with tiled splashbacks, obscured rear aspect double glazed window, radiator, coving. Front aspect uPVC double glazed window, radiator, and coving. Chimney breast with red brick fire surround and mantle with tiled insert and slate tiled hearth and gas living flame fire set within and is extended to one side for display, coving, two wall light points, two ceiling light points, front aspect uPVC double glazed window with front garden views, two radiators, rear aspect aluminium sliding patio doors giving access and views to rear garden and is covered by an outside garden canopy blind, T.V point. 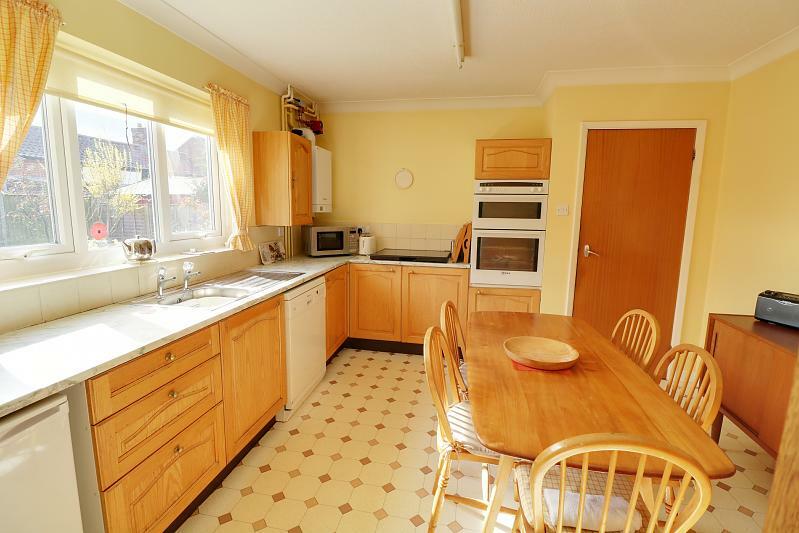 A range of pine fronted base and wall units with marble effect roll top work surfaces over, inset single drainer stainless steel sink with tiled splashbacks, wall mounted Weismann boiler serving domestic hot water and central heating throughout the property (fitted in March 2018), rear aspect uPVC double glazed window with garden views, space for family sized dining room table and chairs, Neff fan assisted double electric oven with a four ring NewWorld gas hob set within work surface, radiator, coving. Traditional Butler sink with hot and cold water supply, white tiled splash backs, plumbing for washing machine, space for further appliances , one floor standing unit and wall mounted unit for storage, coving, uPVC double glazed door giving access to rear garden, double radiator, personal access door through to garage. Doors through to bedrooms one, two, three, four and family bathroom, door through to airing cupboard with lagged hot water tank and slatted shelving, coving and access to loft void. Deep built-in fitted wardrobe with a mixture of hanging rail and shelf space, front aspect uPVC double glazed window, radiator, coving. 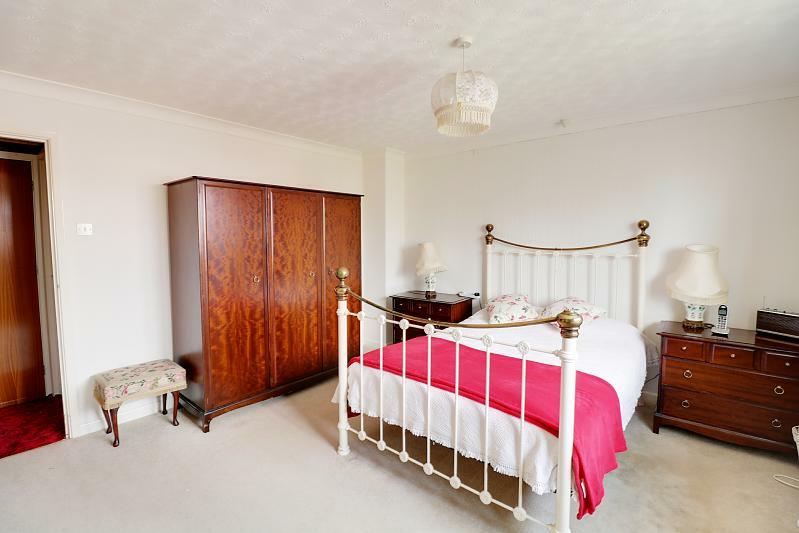 Deep built-in fitted wardrobe giving access to a mixture of hanging rail and shelf space, radiator, rear aspect uPVC double glazed window, coving. 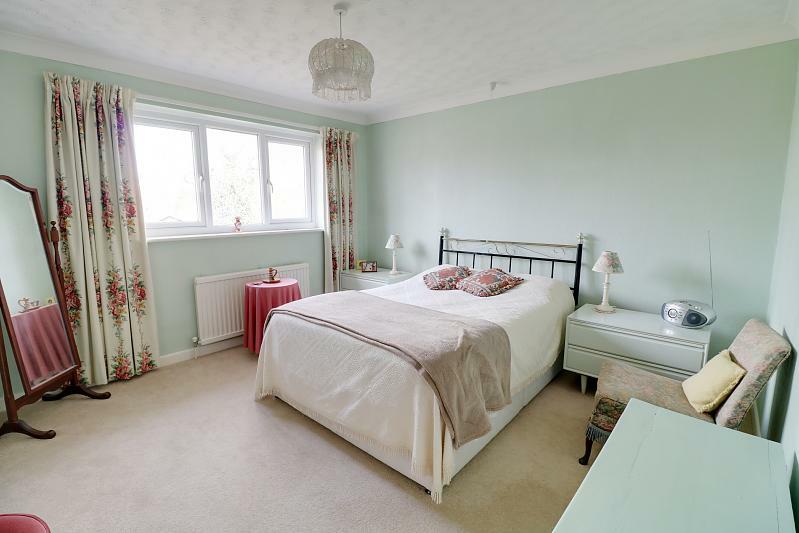 This double bedroom has had a partial conversion to create a walk-in wet room area which has mains pressure chrome coloured shower, white tiled shower area, extractor fan. 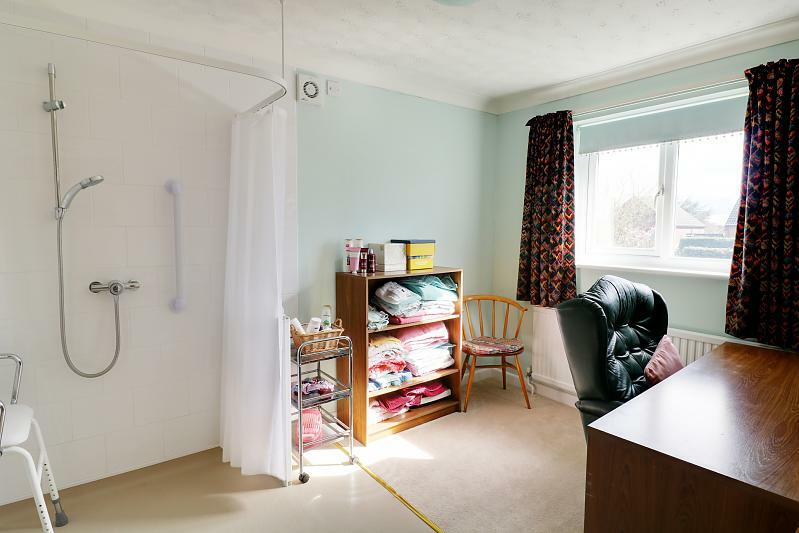 This could easily be reconfigured to create a guest double room, or the plumbing aspect could be reconfigured to create an en-suite shower room, or creation of dressing room. 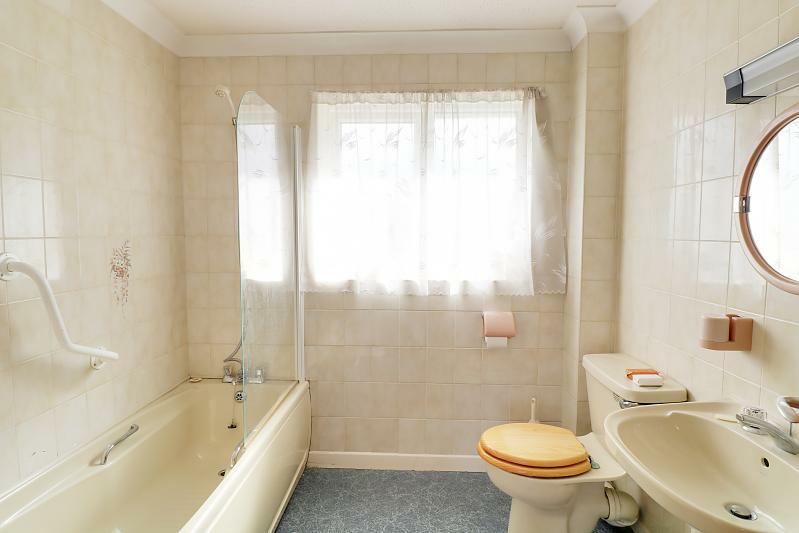 Three piece coloured fitted suite comprising of bath with mains pressure shower over in tiled shower area in cubicle with glass shower screen, close coupled W.C and pedestal wash hand basin with pop-up waste, radiator, shaver light point, tiled splash backs, obscured rear aspect uPVC double glazed window, coving. Nestled away from the main village the front garden has been designed for ease of maintenance enclosed by low laurel hedging with a wide range of roses, palms, grasses, plants and shrubs, mature tree, gravelled filled beds, further gravelled area which would offer standing for caravan, boat etc. or further driveway. Brick weaved driveway leading to the garage for one to two cars. Electric roller door, power and light, personal access door. 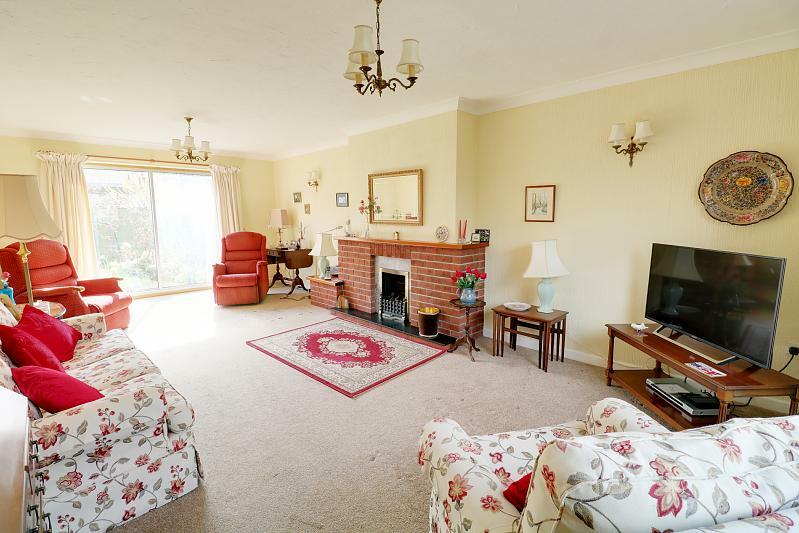 A laid to lawn area to the rear of the sitting room enclosed by a range of plants, trees and shrubs, wining pathways with gravelled filled beds for standing of pots and plants etc. 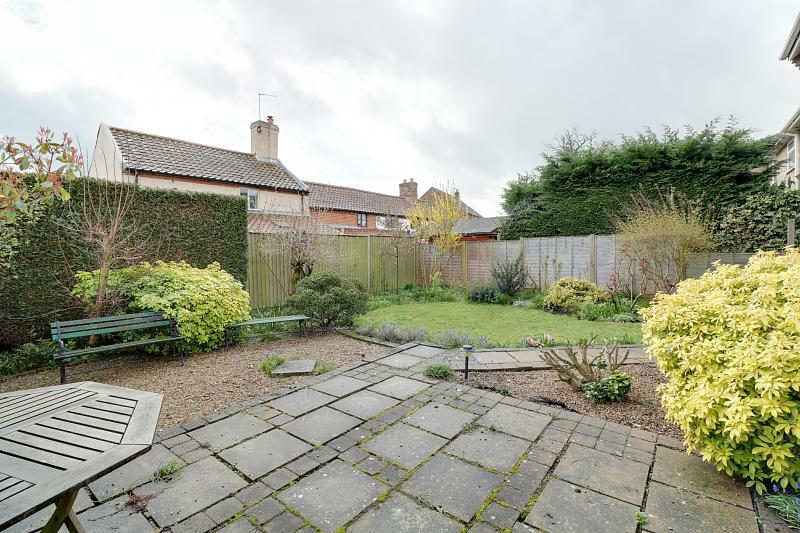 A patio area for outside dining and entertaining enclosed by a mixture of panelled fencing and mature hedging with side access to the front of the property. Outside tap.